High-definition television (HDTV) is video that has resolution substantially higher than that of traditional television systems (standard-definition television). HDTV has one or two million pixels per frame, roughly five times that of SD (1280 x 720 = 921,600 for 720p, or 1920 x 1080 = 2,073,600 for 1080p). Early HDTV broadcasting used analogue techniques, today HDTV is digitally broadcast using video compression. There are three HDTV standards are currently defined by the International Telecommunication Union (ITU-R BT.709). They include 1080i (1,080 actively interlaced lines), 1080p (1,080 progressively scanned lines), and 720p (720 progressively scanned lines). All standards use a 16:9 aspect ratio, leading many consumers to the incorrect conclusion of equating widescreen television with HDTV. 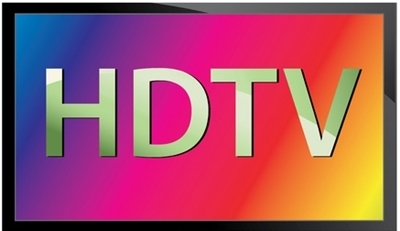 All current HDTV broadcasting standards are included in DVB specifications. HDTV is also capable of “theatre-quality” audio because it uses the Dolby Digital (AC-3) format to support “5.1” surround sound. 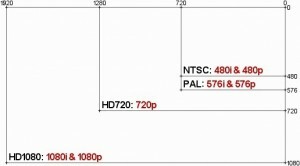 720p refers to a progressive HDTV signal with 720 horizontal lines and an Aspect Ratio (AR) of 16:9 (1.78:1). All major High Definition (HD) TV broadcasting standards include a 720p format which has a resolution of 1280×720, however, there are other formats, including HDV and AVCHD for camcorders, which utilize 720p images with the standard HDTV resolution. The number ‘720’ stands for the 720 horizontal scan lines of display resolution (also known as 720 pixels of vertical resolution), while the letter p stands for progressive scan or non-interlaced. When broadcast at 60 frames per second, 720p features the highest temporal (motion) resolution possible under the DVB standard. Comparison with 1080i Progressive scanning reduces the need to prevent twitter (flicker) by anti-aliasing single high contrast horizontal lines. It is also easier to perform high-quality 50/60 Hz conversion and slow-motion clips with progressive video. In high-motion scenes, 720p has higher vertical resolution than 1080i (720 lines versus 540 lines), making it preferable for sporting events such as racing, football that move at a very fast pace on live television. The main advantage for 720p is to reduce the 3:2 artefact in transfer from 24 frame/s film to 480i or 1080i 30 frame/s 60 Hz. The 576i and 1080i 25 frame/s 50 Hz modes do not have pull down artifacts as film frames are simply played at 25 frame/s and the pitch corrected on audio by 24/25ths. Unlike 480i 29.97 frame/s and 1080i 29.97 frame/s, the 576i and 1080i 25 frame/s 50 Hz can be easily converted to progressive if the source was 24 frame/s film. As a result, while 720p is used for USA broadcast (1280x720p is same bandwidth approximately as 1920x1080i), since standard definition European TV is 576 rather than 480 lines visible, 720p mode is less of an improvement. Therefore many European HD broadcasts use 1440x1080i or 1920x1080i (25 frame/s, 50 Hz) depending on bandwidth constraints. 1080p is the shorthand identification for a set of HDTV high-definition video modes that are characterized by 1080 vertical lines of resolution and progressive scan, meaning the image is not interlaced as is the case with the 1080i display standard. The term usually assumes a widescreen aspect ratio of 16:9, implying a resolution of 1,920 pixels wide by 1,080 high. This resolution is similar to that of 2K digital cinema technology. The frame rate can be either implied by the context or specified after the letter ‘p’, such as 1080p30, meaning 30 progressive frames per second. 1080p, sometimes referred to in marketing materials as Full HD, typically refers to the capability to accept 1080p signal and display it with a native resolution of at least 1080 lines, as well as the capability to upscale lower-resolution material to 1080p. 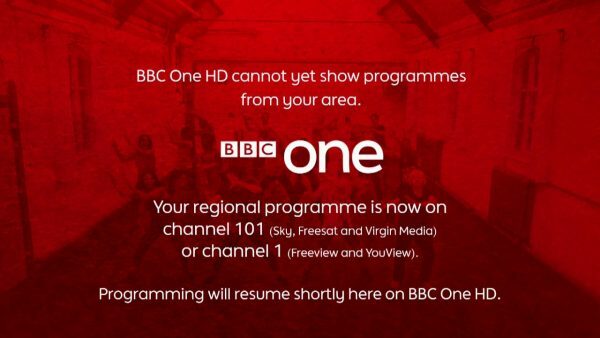 The HD ready 1080p logo programme by DIGITALEUROPE requires that certified TV sets support 1080p24, 1080p50, and 1080p60 formats, and feature a native resolution of at least 1920×1080 pixels, among other requirements. In Europe, 1080p25 signals have been supported by the DVB suite of broadcasting standards. The 1080p50 standard has been foreseen as a future-proof production format, and eventually a future broadcasting format. 1080p50 broadcasting should require the same bandwidth as 1080i50 signal and only 15-20% more than that of 720p50 signal due to increased compression efficiency, though 1080p50 production requires more bandwidth and/or more efficient codecs such as JPEG 2000, high-bitrate MPEG-2, or H.264/AVC and HEVC. 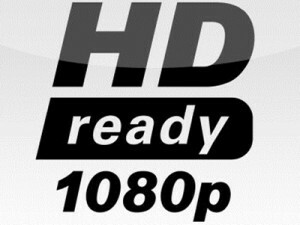 1080i is the name for a combination of frame resolution and scan type, in the domains of high-definition television and high-definition video. The term 1080i assumes a display aspect ratio of 16:9 (widescreen), implying a frame resolution of 1920 pixels wide by 1080 pixels high (1920×1080). The i stands for interlaced scan. A frame of 1080i video consists of two fields which resolve to 1920×540 pixels each, and whose horizontal lines are intertwined (that is, interlaced). 1080i differs from 1080p, in which the p stands for progressive scan. In native or pure 1080i, the two fields of a frame corresponding to different instants (points in time). This is true for interlaced video in general and can be easily observed in still images taken from fast motion scenes, as shown in the figure on the right. However, when, for processing or broadcasting purposes, 1080p material at 25 or 30 frames/second is converted to 1080i at 50 or 60 fields/second, respectively, both fields in a frame do correspond to the same instant. The field-to-instant relation is somewhat more complex for the case of 1080p at 24 frames/second converted to 1080i at 60 fields/second. The field rate of 1080i is typically 50 Hz for DVB. The frame rate can be implied by the context, while the field rate is generally specified after the letter i, such as “1080i60”. In this case, 1080i60 refers to 60 fields per second. The European Broadcasting Union (EBU) prefers to use the resolution and frame rate (not field rate) separated by a slash, as in 1080i/30 and 1080i/25. Resolutions of 1080i60 or 1080i50 often refers to 1080i/30 or 1080i/25 in EBU notation. 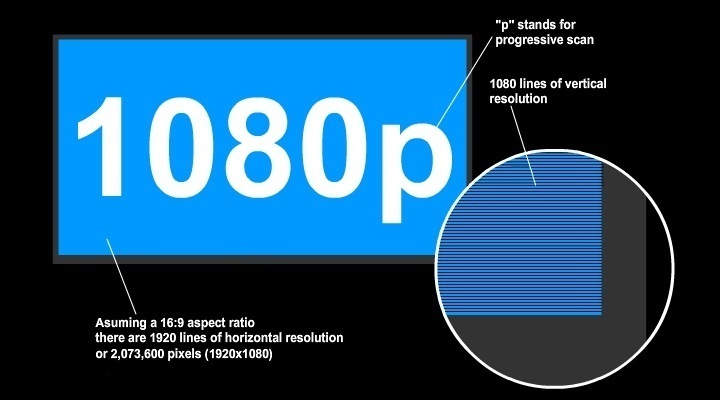 1080i is directly compatible with some CRT-based HDTV television, on which it can be displayed natively in interlaced form, but for display on modern progressive-scan LCD and plasma TV sets it must be deinterlaced. Depending on the television’s video processing capabilities, the resulting video quality may vary, but may not necessarily suffer. For example, film material at 25fps may be deinterlaced from 1080i50 to restore a full 1080p resolution at the original frame rate without any loss. 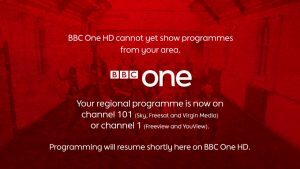 Most UK HD channels on satellite, cable, and terrestrial platforms including BBC One HD and ITV1 HD broadcast in this format. The HD ready is a certification programme introduced in 2005 by EICTA (European Information, Communications and Consumer Electronics Technology Industry Associations), now DIGITALEUROPE. HD ready and HD ready 1080p logos are awarded to television displays (including integrated TV sets, computer monitors and projectors) which have certain capabilities to process and display high-definition source video signal. The HD TV logo is awarded to integrated televisions and set-top boxes which are capable of receiving and decoding high-definition broadcasts, that includes a DVB tuner and decoder which support MPEG-4. The HD TV 1080p label is awarded to integrated television sets which have a DVB tuner, MPEG-4/H.264 AVC decoder, and a display conforming to HD ready 1080p requirements. In the early days of HDTVs, plasma, with its true blacks and superior picture quality, was the prevalent flat-panel technology. Gradually, thinner, more energy-efficient LCDs with CCFL backlighting became less expensive and more capable and started gaining ground. The difference between plasma and LCD wavered for some time, with each offering different economic and visual benefits depending on the model, price, and time in the life cycle of HDTVs. Recently, with the advent of sophisticated LED backlighting, the landscape has changed. With its unmatched energy efficiency, LED-based LCD is the best flat-panel HDTV technology. Unfortunately, it is still the most expensive. That said, if you can afford an LED, then the choice is clear, opt for an LED-lit HDTV. The differences between the three technologies The three technologies are vastly different, particularly how each screen is lit. In plasma screens, the phosphors that create the image on the screen light up themselves, and do not need any backlighting. For LCDs, the liquid crystal screen does not illuminate, requiring a separate light source. This is where the difference between “regular” LCD screens (also known as CCFL-backlit LCD) and LED-backlit LCD screens (also known as LED-LCD, or just LED screens) come in. Traditional LCD screens use cold cathode fluorescent lights (CCFLs) to illuminate the screen. CCFLs are similar to the fluorescent lights, they use a charged gas to produce light. LED-LCD, use light emitting diodes (LEDs) to illuminate the display. Several factors can be influenced by the type of HDTV display you choose. Among them, the most prominent are screen thickness, brightness, darkness, energy efficiency, and price. Ideally, you want an HDTV that is affordable, paper-thin, great picture quality and energy efficient. Although the perfect TV does not yet exist, LED-backlit LCD HDTVs come closer than the other two technologies. When you are shopping around for an HDTV, there are plenty of factors to consider. Your first consideration is the type of display, plasma, traditional CCFL-backlit LCD, and LED-backlit LCD. LED-backlit HDTVs can cost considerably more than CCFL-backlit HDTVs of the same size. Generally, plasma HDTVs tend to be the least expensive, priced at equal to or slightly less than CCFL-backlit HDTVs. Plasma screens will be thicker and consume more power. LED HDTVs are almost always more expensive than their CCFL-backlit and plasma counterparts. Considering the excellent picture quality and significant benefits in screen thickness and power consumption, that extra amount on the price tag is well worth it. Image Quality, is the most vital aspect of any HDTV, peak white and black levels determine how detailed a picture can look on a screen. Poor white levels mean fine details can get washed out in bright scenes, while poor black levels mean shadows swallow up parts of the picture in dark scenes. An average HDTV might produce black levels of 0.05 to 0.07 cd/m2, while a top of the range model might offer levels of 0.01 to 0.03 cd/m2. Traditionally, plasma TVs have produced the best black levels, this is no longer the case White levels are not quite as important as black levels, it is more difficult for screens to show fine details in shadows and easier to show very bright whites with backlighting Here, LED backlighting again comes out on top. Screen thickness is not the most important aspect of an HDTV, though initially, it is the most noticeable. A very thin HDTV is not only visually striking, it is more easily mounted on a wall, and can be more readily arranged, displayed, or concealed as part of your home theatre setup, are again the best choice. The CCFLs that backlight standard LCD screens are much thicker than LEDs, and plasma screens require a fair amount of room for the actual plasma cells. LEDs, on the other hand, can be extremely tiny while being extremely bright, meaning an array of LEDs along the edge of an LCD can light it up while completely removing the backlight from the equation (in this configuration, the LEDs are considered “edge-lighting,” not backlighting, though the term backlighting can cover all screen illumination). However, edge-lit LCDs can not produce quite as dark blacks as LED-array-backlit LCDs. With a full wall of LEDs behind the screen, individual lights can dim and turn off to produce the best black levels when the picture needs them. However, this means the screen ca not be manufactured quite as thin as if it was edge-lit. Energy efficiency is an important factor when choosing an HDTV, and between the three technologies, LED-backlit HDTVs win again. LED HDTVs consistently consume around 100 watts or less, while plasma HDTVs can eat up two or three times as much. HDMI (High-Definition Multimedia Interface) is a compact audio/video interface for transmitting encrypted uncompressed digital data. It is a digital alternative to consumer analogue standards, such as radio frequency (RF) coaxial cable, composite video, S-Video, SCART, component video, D-Terminal, or VGA (also called D-sub or DE-15F). HDMI connects digital audio/video sources (such as set-top boxes, DVD players, Blu-ray Disc players, AVCHD camcorders, personal computers (PCs), video game consoles (such as the PlayStation 3 and Xbox 360), AV receivers, tablet computers, and mobile phones) to compatible digital audio devices, computer monitors, video projectors, and digital televisions. The CEC allows HDMI devices to control each other when necessary and allows the user to operate multiple devices with one remote control handset. Because HDMI is electrically compatible with the CEA-861 signals used by a digital visual interface (DVI), no signal conversion is necessary, nor is there a loss of video quality when a DVI-to-HDMI adapter is used.